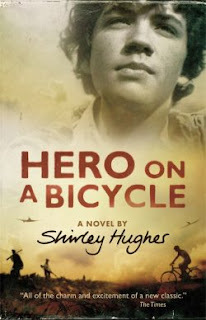 Our “hero on a bicycle”, Paolo Crivelli, is living with his English mother and elder sister, Constanza, in a house in the hills outside the city of Florence in the region of Tuscany, Italy. It is the summer of 1944 and Florence is in Nazi German hands. Paolo and Constanza’s father, Franco, a staunch anti-Fascist, is in hiding. None of the family knows where he is, but each secretly suspects that he is with the Partisans, a group of men and women who are fighting for freedom in Italy.